The majority of my work is for television publicity and I’m fortunate to work with the some of the UK’s leading broadcasters and production companies, with some incredibly talented people on some amazing programmes. I started to specialise in television publicity in 2004 after 4 years working on the other side of the desk at Channel 4 where I spent my time researching and commissioning photography for their Factual, Documentary and News programming as well as the occasional Comedy and Drama. I’m often to be found on set, in the shadow of a cameraman, using a silent camera and wearing ‘studio blacks’ to not attract attention, otherwise I’ll be out and about setting up portraits on location and I am used to working in a wide variety of environments and conditions ranging from mountain tops to muddy fields; scrapyards to royal palaces; or in a photographic studio experimenting with a variety of lighting techniques. I’m based in the south of England and happy to accept commissions all over the UK and worldwide. 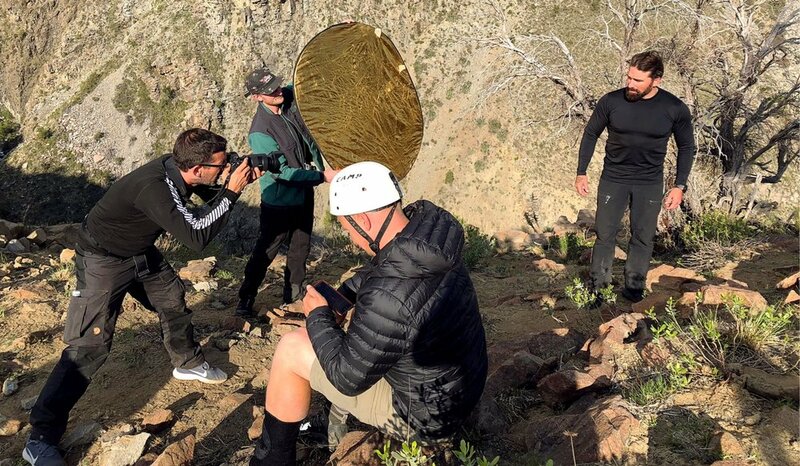 On location with Ant Middleton in Chile for SAS: Who Dares Wins.